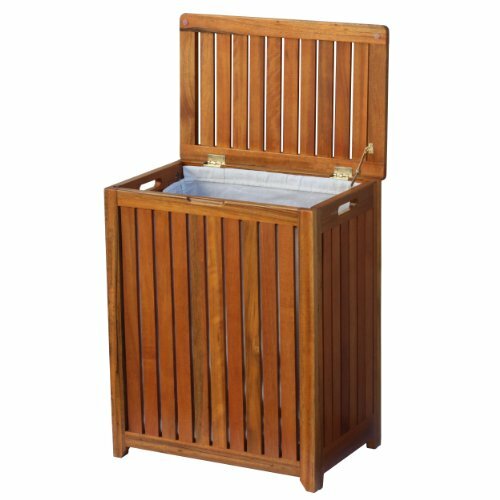 Conceal your dirty laundry in fashion and decorate your bed and bath space with the uniquely designed Oceanstar Solid Wood Spa Hamper. The elegant hamper accessorizes any room and offers plenty of space for your laundry. The slatted presentation of the wood hamper not only adds a contemporary design, but is also durable and functional as it provides air passage through the hamper. The interior bag in the hamper is removable so you can transport and carry your laundry from one room to another. If you have any questions about this product by Oceanstar, contact us by completing and submitting the form below. If you are looking for a specif part number, please include it with your message.